Since the domestication of the chicken, people have been enjoying and nourishing themselves with eggs. However, eggs have gotten a bad reputation because the yolks are high in cholesterol. In fact, yolk is actually a very healthy food, if consumed in moderation, a medium egg contains about 186 mg of cholesterol, which is 62% of the recommended daily intake. Eggs are one of the few foods with complete proteins, they contain proper proportions of all nine essential amino acids required by the body. With only 70 calories each, eggs are rich in many nutrients, including vitamin A, potassium and many B vitamins like folic acid, choline and biotin. 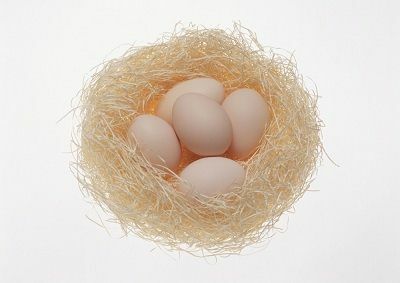 The article below explains about some of the amazing health benefits of eggs. Choline, an essential nutrient found in eggs, stimulates brain development and function. Choline must be consumed through the diet for the body to remain healthy. Dietary surveys have shown that about 90% of people in the U.S. are getting less than the recommended amount of choline. Eggs are among the best dietary sources of choline, a single egg contains more than 100 mg of this very important nutrient. Moreover, even the egg yolk is rich in folate, which maintains the nerve cells, thereby inducing brain to function properly. Eggs contain lots of quality protein, fats, minerals (such as zinc and selenium) and vitamins A, D and some B vitamins, which make it a necessary food item during pregnancy. In addition to providing adequate nutrition, they help lower the unborn child’s risk of mental health problems and chronic illnesses later in life, these benefits are also chiefly attributed to choline and folate. Having eggs for breakfast has been a common practice since time immemorial. This tradition can help maintain body weight because in addition to providing energy, eggs make you feel fuller. Studies have shown that people who eat eggs for breakfast are more likely to lose weight than those who ate bagels. However, keep in mind that frying or scrambling eggs increases the calorie content because of the addition of butter or oil for cooking. One hard-boiled egg contains about 78 calories, that’s a good choice! Eating right for bone health basically comes down to two nutrients: calcium and vitamin D. Eggs are really helpful in building and developing stronger bones. They are rich in Vitamin-D and calcium, it is a known fact that Vitamin-D and calcium is good for maintaining healthy bones. Moreover, eggs are also rich in phosphorus which makes them even more effective. Eggs are a good source of lutein and zeaxanthin, that have major benefits for eye health. According to one study, an egg a day may prevent cataract, macular degeneration, and ultra violet rays. Lutein is also found in green leafy vegetables, but scientists believe that the body absorbs it better from eggs. Eggs are also high in Vitamin A, Vitamin A deficiency is the most common cause of blindness in the world. Eggs have been found to include sulphur-rich amino acids, which not only improve the quality of nails, but also make your hair beautiful and strong. Many people find their hair growing faster after adding eggs to their diet, especially if they were previously deficient in foods containing sulphur or B12. To make your hair grow faster, you can even apply egg hair masks. What is the Signs of Kidney Failure?